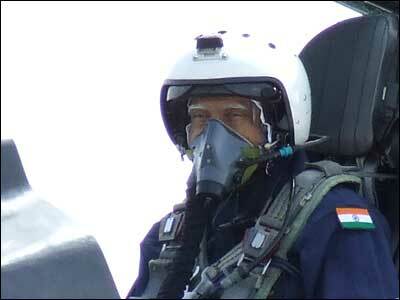 On Thursday, President A P J Abdul Kalam, supreme commander of the armed forces, fulfilled a childhood dream when he became the first Indian Head of State to fly a fighter plane. 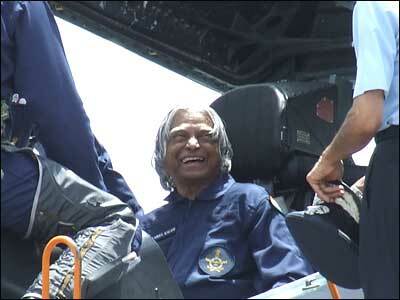 “I always wanted to be an Air Force pilot but was rejected in 1958 and therefore I became a scientist,” the 74-year-old Kalam said soon after his 40-minute supersonic flight on a Sukhoi-30 MKI at the Lohegaon Air Force base in Pune on July 8. 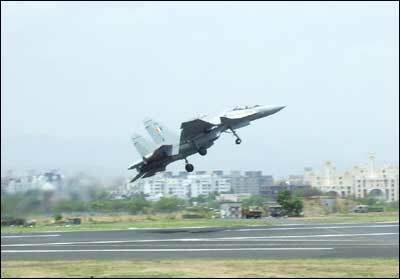 The President’s flight marked the airbase�s 50th anniversary. The G-Suit is an anti-gravitational suit and helps in proper blood circulation when the flight flies at supersonic speeds. You are currently browsing the Free to share your thoughts blog archives for the day Thursday, June 8th, 2006.